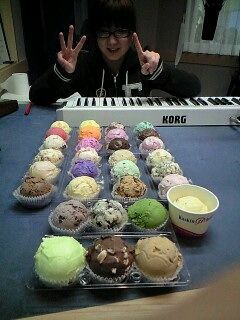 Happy Birthday to my OSHIMEN ! 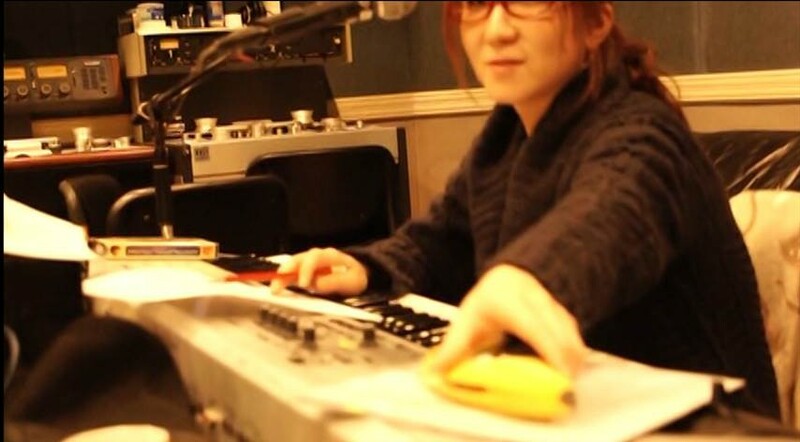 Miss Iwasa Misaki-san, born January 30, yada-yada. WASAMIN — I HOPE YOU ENJOYED YOURSELF TODAY!!! 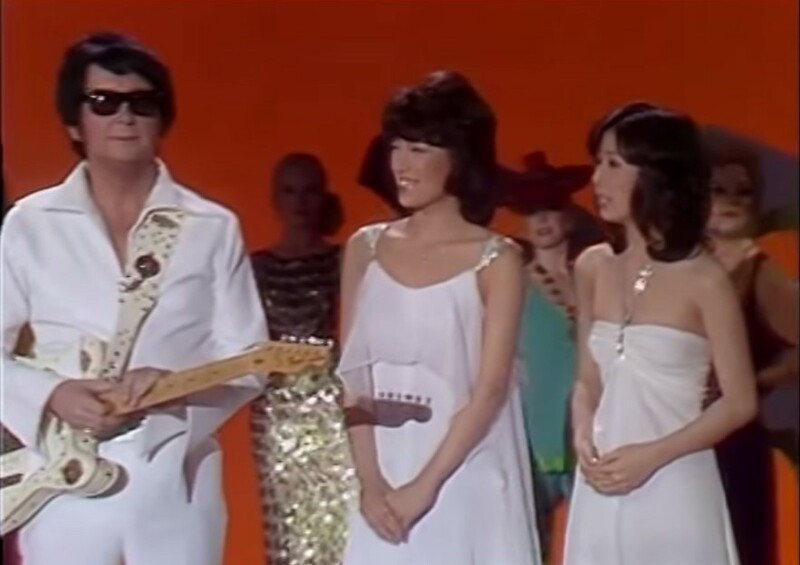 A few Misaki moments: here is another wonderful “Enka” ballad in kimono! One of my fav old clips: Wasamin will DESTROY anyone in a karaoke battle. 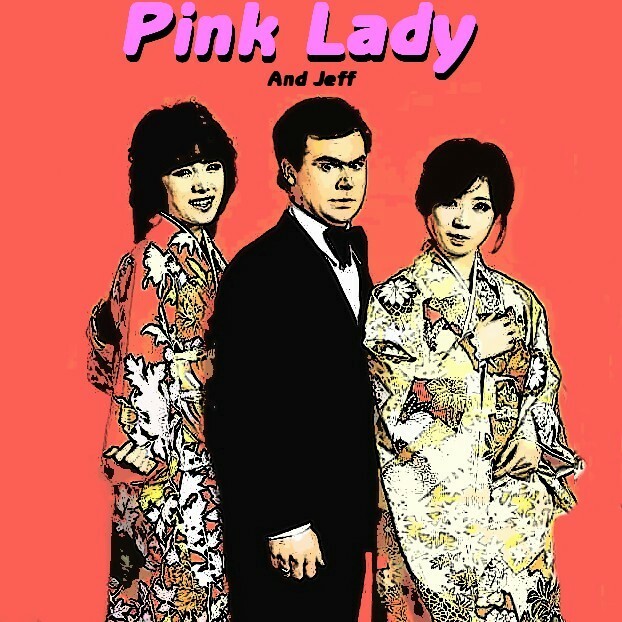 I love her demonstration of the “Enka” style of singing … and WOW what a set of gams! Misaki-san is beautiful in kimono, … but does she look good in a bikini? See for yourself. Please see more on my Iwasa Misaki board on Pinterest linked here. Starlight: a 20 year journey to my world! Lucario ( in Japanese: ルカリオ “Lucario”) is a dual Fighting & Steel type Pokémon. Lucario evolves from the (baby form ) Fighting type Riolu (in Japanese: リオル “Riolu”) when leveled up with high friendship during the DAY. 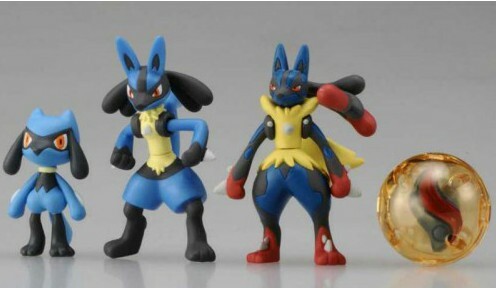 Lucario does not evolve, but can mega-evolve into Mega Lucario using the Lucarionite stone. 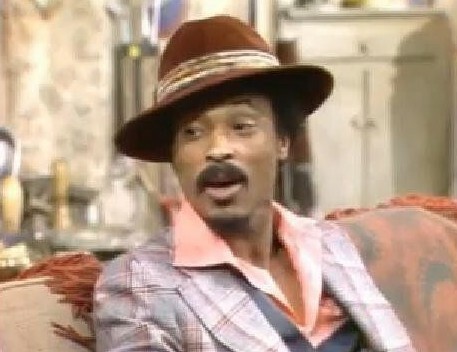 I named a Riolu “Rolo” after a character on the famous TV show “Sanford and Son”. Rolo was often on the receiving end of Fred Sanford’s (comedian Redd Foxx) famous “You big dummy” line. 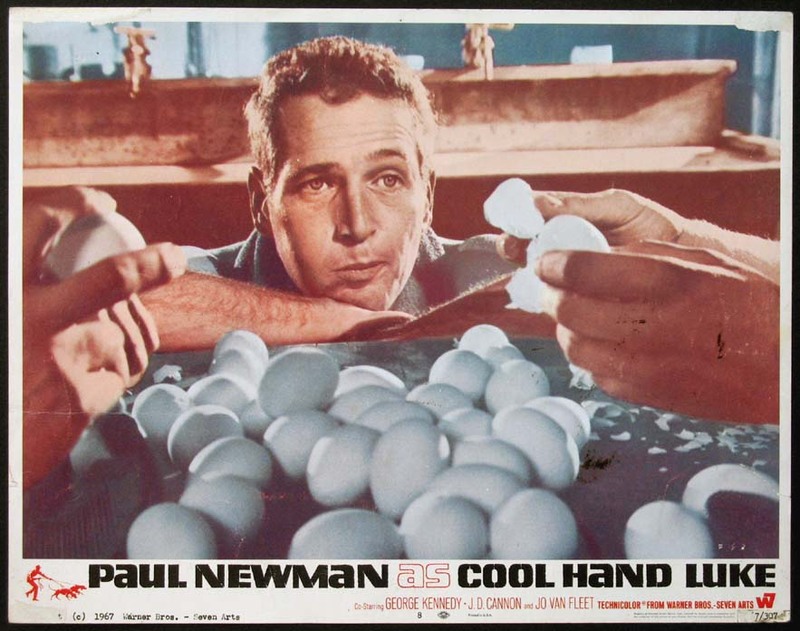 I named the Lucario I received in Pokemon Y, “Cool Hand” after the famous character played by Paul Newman in the movie “Cool Hand Luke” (movie trailer link here). 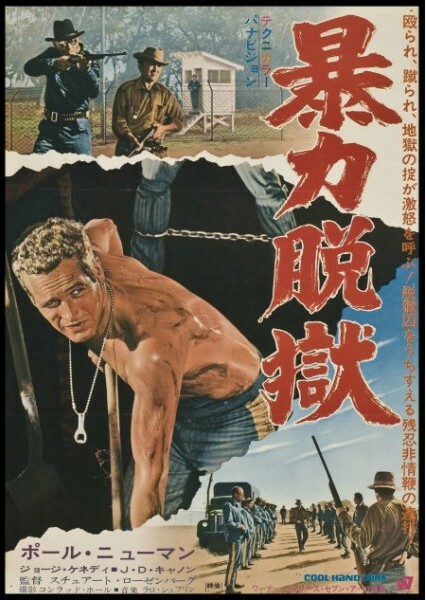 The 1968 film was about a young anti-hero who is sent to a Southern prison farm for – get this – cutting the heads off of parking meters. 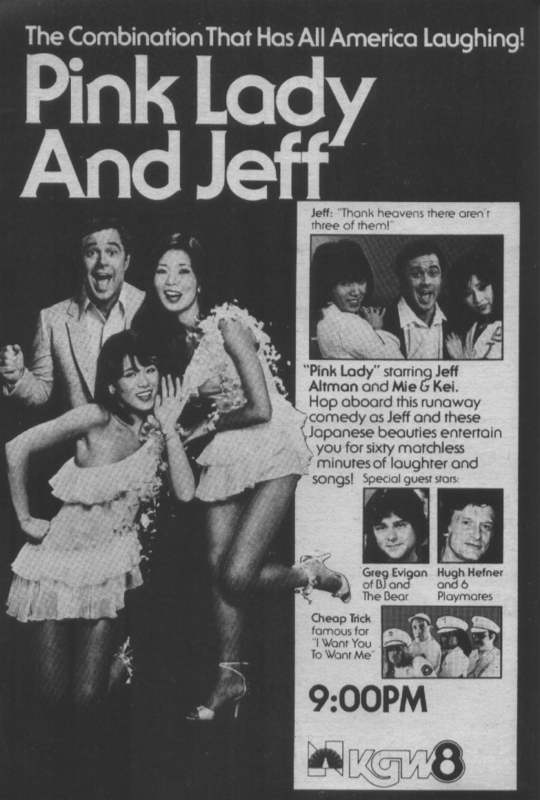 The movie is a goldmine of famous pop culture sayings, such as “I think what we have here is a failure to communicate!”. My favorite line is “I’M SHAKIN THE TREE, BOSS” … but I digress. What? You’ve never SEEN it? What are they teaching kids in school these days? 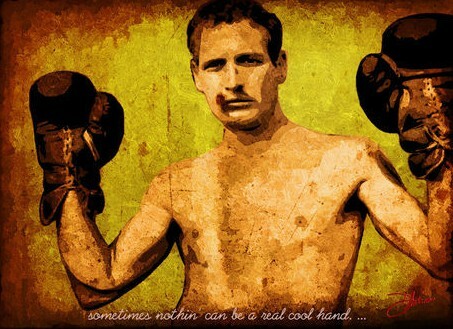 I also think that Cool Hand is a good name, because Lucario is a fighter/boxer. Of course you can name a newly born Riolu if you hatch an egg! I named another Riolu/Lucario “Sir Luke” after the famous scene in Star Wars. Remember when C3PO first conversed with Luke Skywalker? C3PO said at one point “I see Sir …”. Luke laughs (as if anyone would call him “Sir”), and says “… Luke” (meaning just call me Luke). C3PO misunderstands, and says “I see — Sir Luke” – to which young Skywalker laughs again: “No … just Luke”. It is a great foreshadowing moment because knights are called “Sir” and Luke Skywalker will one day become a Jedi Knight! Use “FORCE PALM”? … I was already there! Please comment on your name for Lucario! 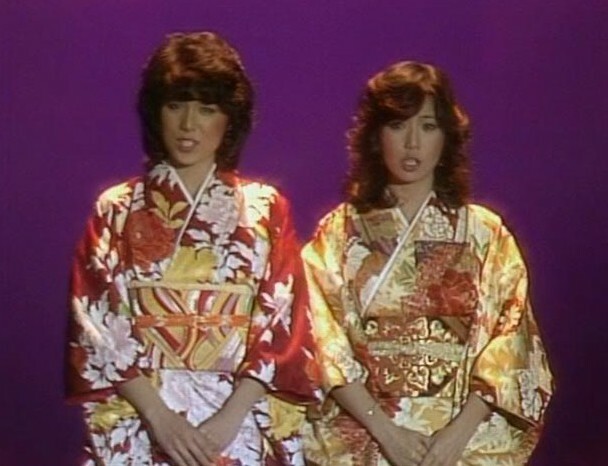 Mitsuyo Nemoto, (“Mie”) and Keiko Masuda (“Kei”) of the Japanese pop group “Pink Lady” in the kimonos that they wore for their short-lived 1980 American television show. 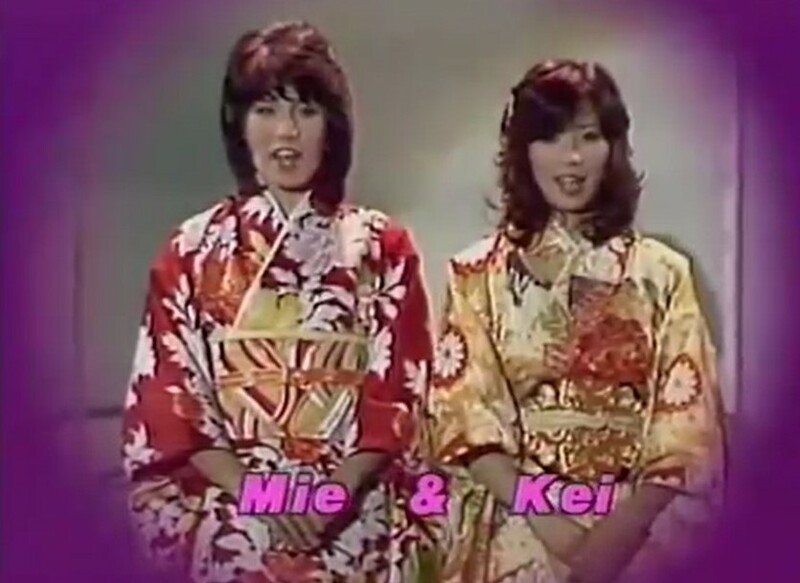 Come back to us Mei and Kei ! 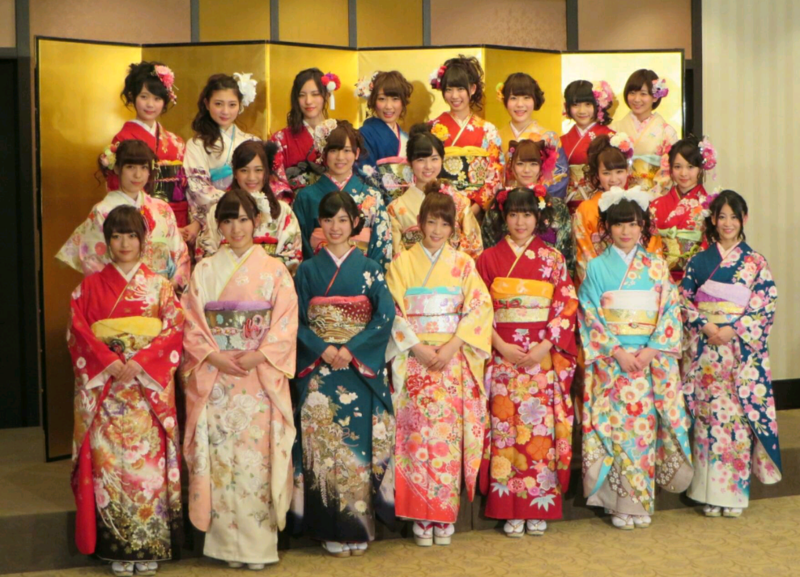 Kimonos on Monday – the “48 Family” Photos: I am so happy that it is Monday (12:01 GMT), so I can finally share these photos from “Coming of Age Day” 2015. This first photo is a large image that is perfect for PC wallpaper. I am using it as my wallpaper right now. It makes me happy just looking at it. It makes me feel good every time I boot the computer! Wallpaper size image for your computer! 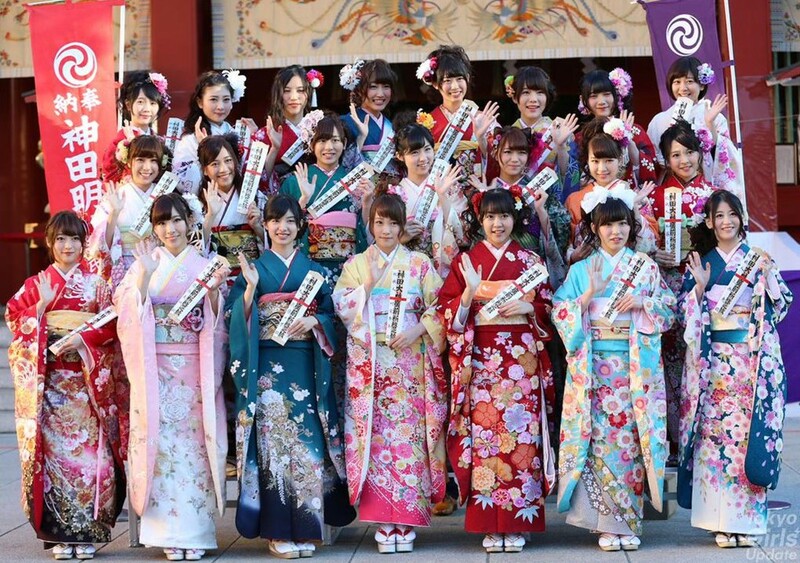 Several members of the AKB, NMB, SKE, and HKT 48 groups attended “Coming of Age Day” ceremonies held at the Kanda Myojin shrine in Tokyo. 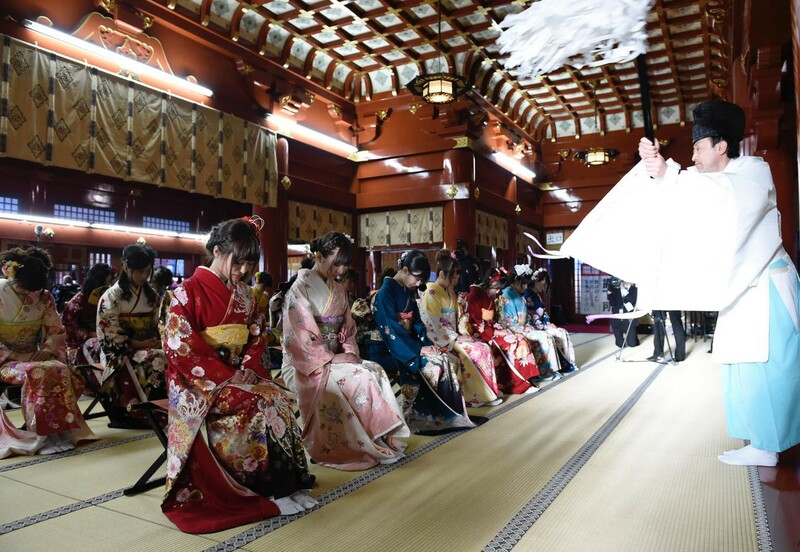 The young women dressed in furisode, were blessed by a Shinto priest and drank holy sake as part of the ceremony. 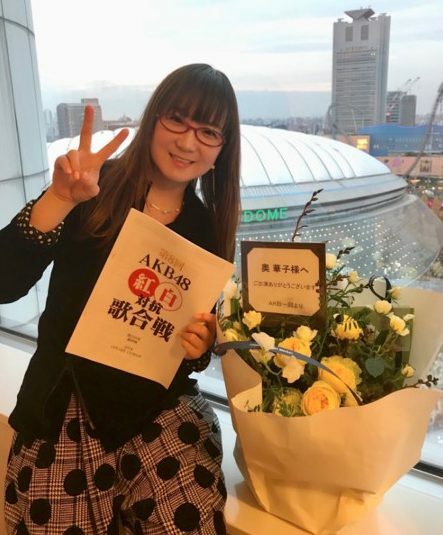 Perhaps there were fewer “big name” participants from the AKB48 family turning 20 this year, but my oshimen — Iwasa Misaki was one of them. 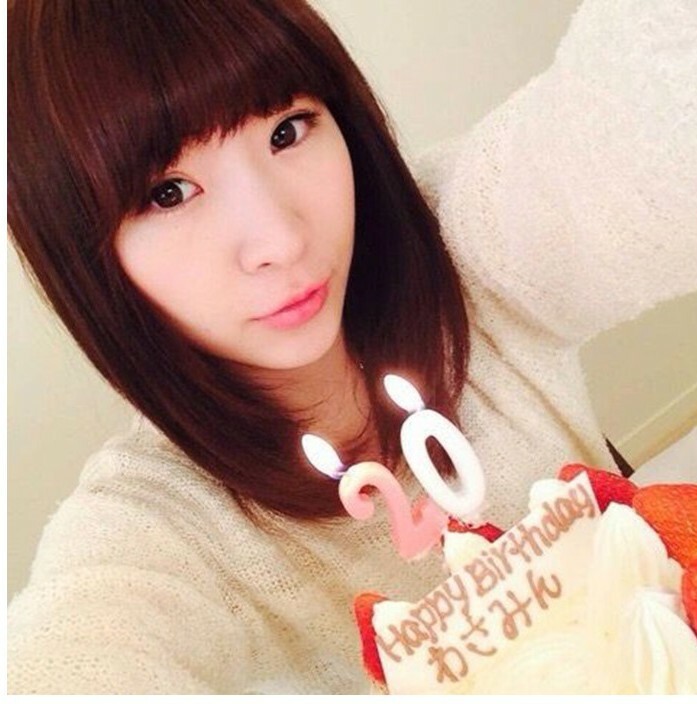 Best wishes to you Wasamin! 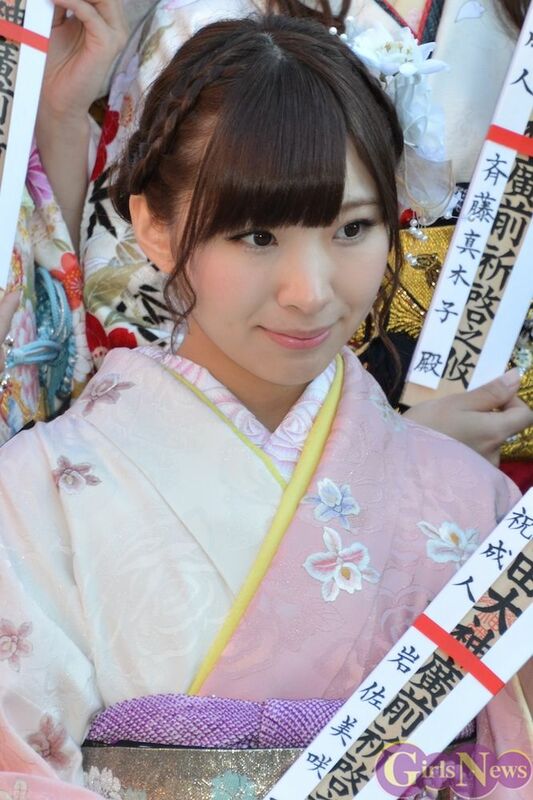 My oshi … Wasamin ! 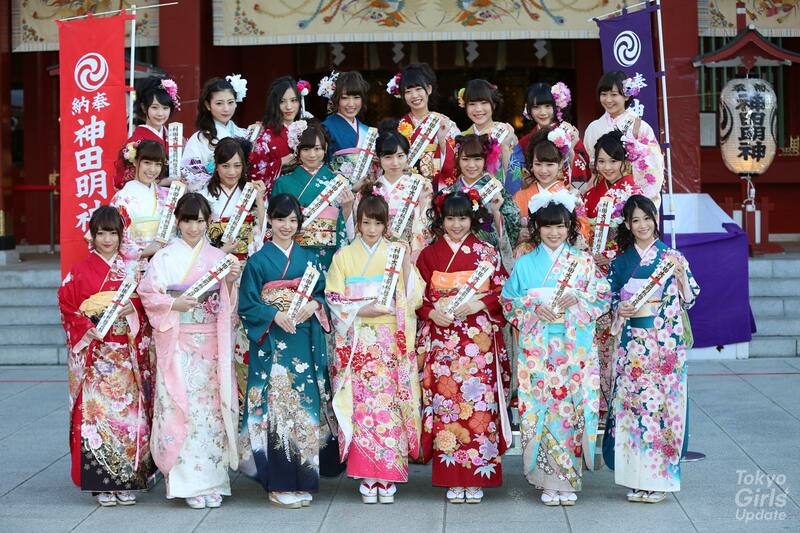 So much cuteness AND traditional beauty!!! … each one more lovely than the next! The news reported that there were sub-freeing temperatures that day. The girls — I mean — ladies (as they are considered adults now) were good sports about having the photos taken! 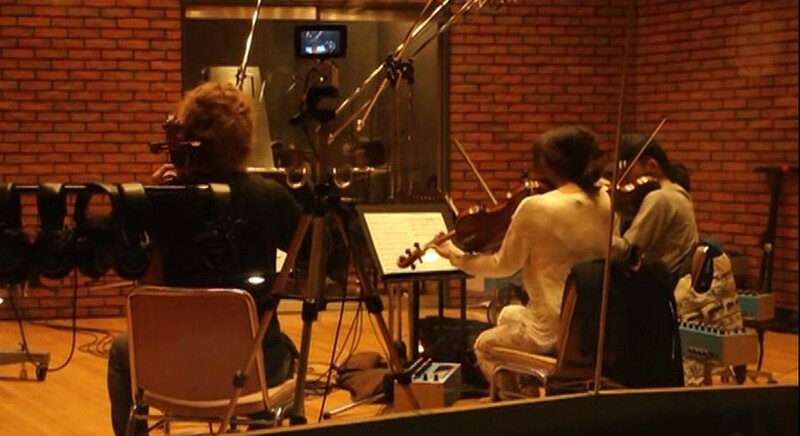 You can read more on the Tokyo Girls Update web page article linked here. Welcome to the world of grown-ups ladies! KIMONOS ON MONDAY: “Funashi” and friends! 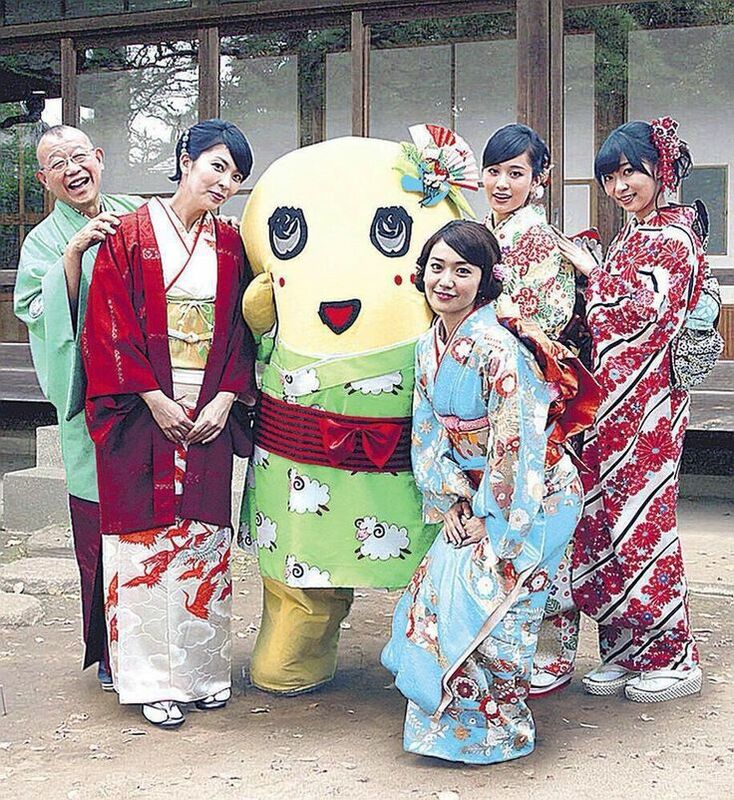 Funashi and friends: Yuko, Acchan and Sashi! 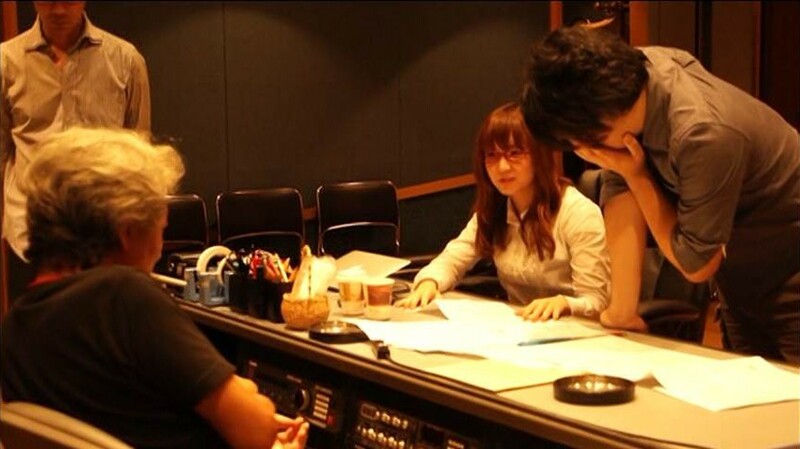 Funashi gets to interact with the ex-#1 members Yuko Oshima, Atsuko Maeda and Rino Sashihara.